We offer students (and adults!) a day of fun and learning in AA Driver's Town. It offers an authentic and educational driving experience for children and is the ultimate place to bring your class. Access to the attraction itself! 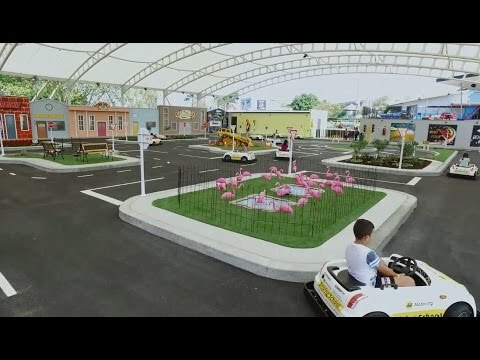 AA Driver's Town with education module + Kidz Kingdom pass: we allow 1 spectator (no rides) free of charge for every three Kidz Kingdom passes purchased. Additional spectator passes can be purchased for $7.00 each.